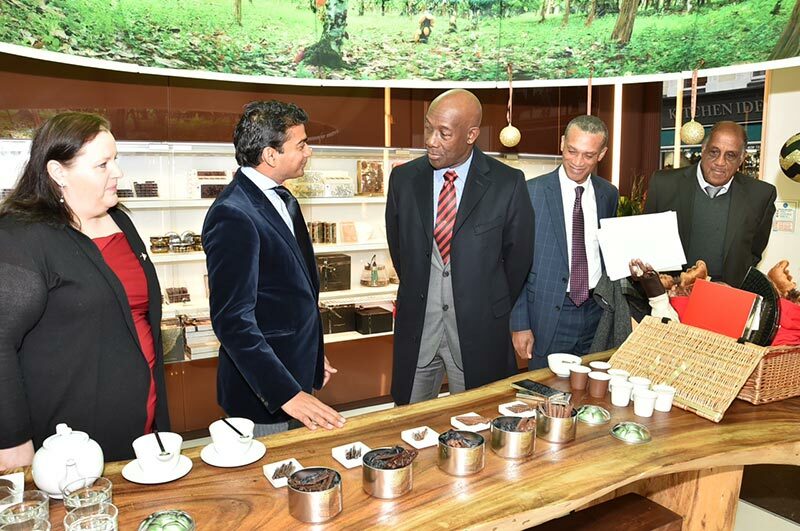 In December 2015 the Prime Minister and Foreign Minister of Trinidad & Tobago visited the United Kingdom. We were honoured to host them for a chocolate tasting at the Artisan du Chocolat store in Notting Hill. They sampled all five flavours of our chocolate range, with the Prime Minister proclaiming guava to be his favourite. We are most grateful for the continued support of the Trinidad & Tobago Government, including that of its staff based at the High Commission in London. Our Fine/Flavour cocoa beans are known for their fruity notes and floral tones. Our PM picked up the guava notes! Fantastic! I’m a guava lover. Must look out for these fruity notes next time!